When we discovered Topozoo, Geared for Imagination‘s latest toy incarnation, at this year’s New York International Gift Fair, we instantly knew it would be one of the top green gifts for kids this holiday. Each playset comes with 15 pieces that fit together to form three creatures in category of either safari animals, dinosaurs or monsters. But even though kids can make a giraffe or a T-rex, they can also let their imaginations run wild creating unique mash-ups. With all three sets put together more than 440,000 creatures are possible. Plus, each set includes color-and-cut-out paper layers to add to the creatures, and coloring pages in the shape of wings, spikes and tails will be available online, making customization endless. 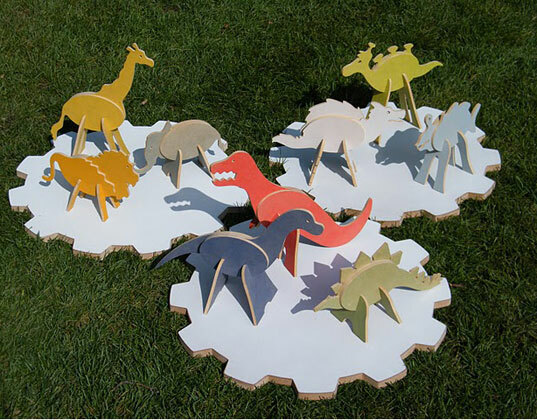 Topozoo is made in the USA from recycled wood and finished with water-based, non-toxic stains. The set is expected to hit stores this October. When we discovered Topozoo, Geared for Imagination's latest toy incarnation, at this year's New York International Gift Fair, we instantly knew it would be one of the top green gifts for kids this holiday. Each playset comes with 15 pieces that fit together to form three creatures in category of either safari animals, dinosaurs or monsters. 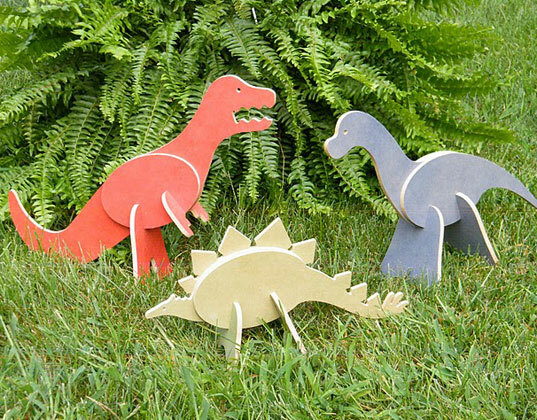 But even though kids can make a giraffe or a T-rex, they can also let their imaginations run wild creating unique mash-ups.